Amid the messy streets and cold temps, we may sometimes forget that winter in New York is supposed to be awesome. (Seriously.) The Parks Department reminds us why we should love the colder months thanks to Winter Jam, its annual winter sports festival in Central Park. 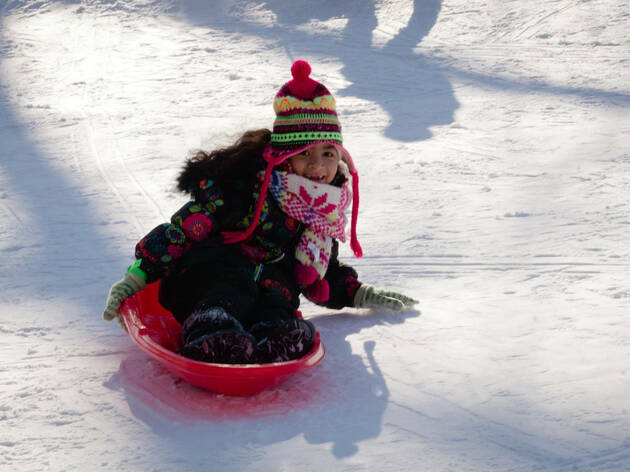 Families can learn or take part in snowshoeing, skiing and sledding. Bring your own snow sports gear or borrow the equipment on load at no cost, then while away the hours sipping hot chocolate and enjoying the outdoors during this ultimate snow day. The rain date for the 2019 event is Feb 2. Enter the park at 72nd St, as the festivities will take place in the Bandshell area. All ages.